Gluten free candy is very hard to figure out. Reading labels for gluten is a hassle which is why I created this gluten-free candy list to make it easier! 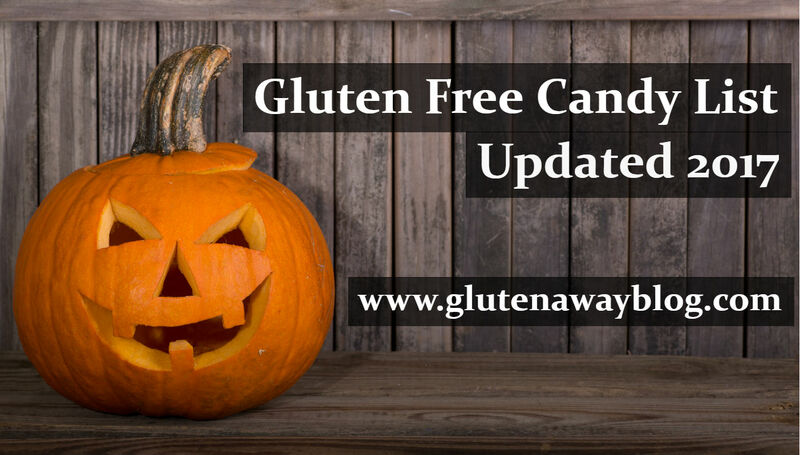 Every Halloween, Valentine's Day, and Easter, I update this gluten-free candy list to make sure you are all safe around the holidays. There's so many candies that can contain gluten that you would have never thought of! This list will at least let you know what you can have while being gluten-free. If you would like any brands added to this list, please comment and I will look it up for you! I hope this helps! Enjoy Life launched NEW Halloween Chocolate Minis! Bite-size gluten-free and dairy-free Halloween chocolate bars for classroom Halloween parties, handing out to trick-or-treaters and so much more. With no frightening ingredients or additives, all 4 varieties of these scary good chocolates will be your go-to Halloween indulgence that everyone can enjoy. Try all 4 varieties! Each bag contains 18 single-serve chocolate bars perfect for all of your festive activities. Order TODAY from Enjoy Life’s shop website! Just for visiting this page, take 15% off your entire purchase! Use code EnjoyLifeGA15 at checkout. Disclaimer: The label will now show "Dextrose (sourced from corn or wheat)". Here is a statement from Haribo as of 2017. "In addition to the label change, we tested our U.S. products and found no identifiable levels of the wheat allergen. We changed our labels to ensure consumers have the most information available to make informed decisions regarding their health. Our recipe has not changed, so consumers can expect the same delicious and fun experience with our Gold-Bears at under 20 ppm." All flavors of Jelly Belly beans are free of gluten. "We do not use any wheat, rye, barley, or oats in the basic recipe for Jelly Belly jelly beans." The modified food starch listed on the package is cornstarch. Disclaimer: Kraft claims that they cannot guarantee that any of their products are gluten-free by FDA standards. However, none of the 3 products above contain gluten containing ingredients. It is said to be up to the customer to determine whether it is safe for them or not. I have not heard of any people getting a reaction from these 3 products, myself included. This is one company to be careful with and judge by yourself. Note: Any item not listed above either contains wheat or may contain wheat. The products listed above are considered to be safe and under 20ppm by Mars Chocolate. Surf Sweets gummies are a great and healthy alternative to other sugary candies! All Surf Sweets are made and packaged in a facility free of the 10 most common food allergens, including dairy/casein, eggs, peanuts, tree nuts, wheat, soy, fish, shellfish, sesame and sulfites. There is also no corn syrup, artificial colors, dyes, or additives used! They have gummy worms, jelly beans, gummy rings, and much more! Check out their products here! All Welches Fruit Snacks are labeled gluten-free and are a much healthier option instead of candy! Kids will love them too! Click Here for Top Products with Hidden Gluten list! Also, what brands of candies would you like me to add to this list? Comment below! Thanks for this, it's amazing! Oh no...where are the milk duds? I want to cry! I love kit kats but they aren't gluten free. Oh no! Mr. Goodbar is not GF? Yea, according to their latest gluten-free list Mr. Goodbar wasn't on there. I looked at the ingredients and couldn't find any gluten ingredients though but there site did say it wasn't gluten-free. HI Stephanie, thanks for pointing that out! I just checked Hershey's Gluten Free Info Page and all Hershey's Nuggets are gluten-free. Sorry for putting them on both lists. I appreciate you pointing it out and will change it right now. that is cheaper than whatever was the previous ingredient. Are you sure? I just looked it up again and Hershey's confirms that they are gluten-free. Thank you so very much for all your research and sharing this important information. Three weeks gluten free. So glad I found this resource and with Halloween around the corner I needed a plan! Licorice Twizzlers cherry bites also are NOT gluten free!! Wheat in them :-( Who woulda thought??? Thank you soo much for all your help. I;ll be ready for Holloween. Now I need to work on my knock knock jokes. when you say gluten free did you check if they were "made on the same equipment that processes wheat?" I have celiac disease and I'm very sensitive. I've been having a hard time finding this info. Nerds are not gluten-free since they are made in a facility that contains wheat! Sorry! I made a mistake when I just updated the list bur researche'd all the other brands to make sure they are correct. Thanks for pointing that out! Esto lo puedo considerar también en México??? Sí, me gustaría tener cuidado con algunos de ellos si no vive en México. I appreciate your hard work and admire your ability to listen to criticism, apologize and correct your mistakes, and stand up for yourself when the evidence proves otherwise. In other words, I get to have one of the butterfingers I was saving for the little kiddies on Halloween; all because, I trust you and this website. That is a big deal for someone who is as old as you are: transposed. Yes, I am 61 years old! Oh, and by the way, this website and its integrity will look very sweet on your college applications someday. For whatever reason Hershey's has said that it is not gluten-free and does not feature it on their gluten-free products page. The ingredients look fine but my guess is that there are problems with cross contamination so they say it's not gluten-free unfortunately. You're welcome! And thanks, let me know if you have any more questions! Thank you! I appreciate your work on this list, it was very helpful. appreciated your list diagnosed with this in june as well as stomach cancer double whammy finding yummy foods and sweets has been a real challange reading your list realy helped. you're really an inspirational person to do this for others. Okay so are all these safe for people with celiacs disease as well?? I don't believe so since some are made in a facility with other gluten ingredients. You are just as sweet as this list! I appreciate you doing this, you are a great guy! So everything on here is gluten free? Only the candies under the label, "The following below is gluten-free." Just a thought but you might note next to each item at the bottom *contains gluten since it would be easy to do as I did and scroll through the list thinking all items are gluten free and miss that last topic heading that says the all important word NOT. Thank you so much for this list! I love M & M's & have been avoiding them because I thought they contained gluten. Off to the store!! Are Aero bars gluten free? Just used this today while I was looking for GF candy. Your list makes it a whole lot easier for me to buy and send parcels to my Grandkids as one of them is Celiac, thankyou! Thanks for a great list! One comment - I don't see Milk Duds on the list. Hershey's website has them listed as gluten free. Here is another one for you. Hot Tamales.http://theglutenfreebar.com/gluten-free-blog/gluten-free-food-list/candy/are-hot-tamales-gluten-free/ - hope this helps you great work! When I had to go gluten free almost 3 years ago, there wasn't nearly the resources or products available and labeling. I can't imagine the problems people had years ago. Thanks again for all your work! what do you mean by not original as listed after milky way bars? Wow! This is a very useful page and I really enjoyed reading article and all users’ comments. Buy Gluten free flour and Wheat free flour at our online store at reasonable prices. Thank you for sharing valuable information. Normal Milky Ways are not gluten-free. However, the Milky Way Midnight bars and the Milky Way Caramel bars are gluten-free. Thank you for your efforts. They are a great help. How about Brach's candies? Milk maid caramels, maple nut goodies, bridge mix to name a few? Thank you for this. I just found your blog a week ago. You are doing a great job. I found that Canyon Bake House bread at Target and have to say it is soooo good!!! I haven't had bread in a year. Thanks for trying them out so that I didn't have to. Also, thank you for the GF Oatmeal blog. I had just tried some and had a reaction, so your post was timely. It is nice to know it isn't just me!! Thanks again!! Is this list for Canada or the US? You're welcome Princess Pindy! And Wanda, this list is for the U.S. but can be applied to Canada. However, Smarties in the U.S. are a completely different candy compared to Smarties in Canada. Just something to note! No, the candy made in Canada is often different from that in the US. I don't know if it is because of ingredients or cross contamination. For an example, check the Hershey site.Completely different lists for the US vs Canada. Also note that the same candy bar in different sizes, one can be gf and the other not. Soy lecithin does not contain any gluten. It actually usually doesn't even affect those with soy allergies. But there is a very small percentage of those with soy allergies who do end up having a reaction. Perhaps you and your daughter have soy allergies and are affected. Hi Taylor, how do you typically go about verifying whether foods are gluten-free or not? What do you typically look out for on labels? What about Brookstone chocolate covered pomagranates? Brach's Royals and their caramels? What an informative list. Great job and thanks! Paydays used to have malt in them, at least before last year. *Made from milk or cream, sugar, butter and vanilla flavorings, caramels are usually gluten free. But of course you should read the label. Kraft caramels are gluten free. This is my go to list for candy. Thxs for doing all of the legwork. This is not correct! Just read a package of Smarties, they have wheat flour listed right in the ingredients! I am in Wisconsin,USA.I have Smarties for my Grandson in my hand.Everything on the package states Gluten free. Smarties ( Canadian) are candy coated chocolate that are not gf. You are probably looking at the smarties shown in the Canada which are not gluten-free. U.S. smarties are a completely different brand and are gluten-free. Thank you Taylor for all of your hard work! I really appreciate,all you do.Not trying to sound rude,most likely will sound that way.For the people w/complaints&loads of questioning,you can spend some time checking into things on your own.Very easy to google&if you still have questions,call the company directly.I have called companies numerous times.They have always been very informed,friendly& helpful.Plus,always got through fast to a human,no waiting or pressing #'s.It's fine if U come up w/new updated info.Sorry, all done venting.Once again,thank you Taylor!! Hey...do you know if ButterFingers are gluten free? Thought wonk a products *laffy taffy* processes wheat in the facility as well..according to last I heard from them. This is so helpful while getting ready for my classroom's Halloween party! Thank you! Thanks Taylor, really appreciate the help. Thank you very much for your time and care in compiling this list! Is anything Wonka gluten free? Thank you so much for taking the time to put this list together. It is very appreciated. Thank you very much for this. I've decided to go gluten-free after perusing the book "Grain Brain," because I'm training to speed-solve crossword puzzles and win the national championship. I'm following your blog now. This list is SO helpful, thank you!! The article which you have posted is great. Your site provided for me much information.Thanks for sharing this information. Not all M&Ms are gluten free beides the pretzel. I know a few others are not (like the peppermint ones). Also, milky way contains barley as well. Just so people are not mislead. Always read the labels even if you know its gluten free- sometimes products change. I think I just had a reaction to peanut M&M's?? I'm allergic, not intolerant to wheat/gluten. Maybe a cross contamination? Are Frango Mints gluten free? Hey thanks, Taylor. Since I have both Diabetes and the Celiac Disease, I have a difficult time with food. How about peppermint candy, the soft melt in your mouth kind? Appreciate the help!! On your list, you have that the York Peppermint patties are gluten free, but that the York Peppermint Mini 's are NOT. Are you sure about that? I can't find anything in the ingredients list of the York unwrapped peppermint mini 's that would have gluten in it. Plus there are no allergen statements at the end of the ingredients list, which would indicate that there is gluten in them either. I've been told by representatives of various companies when I call them to inquire about whether or not a product has gluten in it that if I don't find anything in the ingredients list about gluten, and there isn't any allergen statements at the end of the ingredients that says "May contain" or "contains" wheat, rye, or barley etc..., then it doesn't have any ingredient that contains gluten, but may not be "certified" gluten free because it is made in a facility that makes other products with gluten, and therefore poses the risk of slight cross-contamination. All that being said, is that the only reason why the York Peppermint Unwrapped Mini 's aren't deemed gluten free (possible cross-contamination)? Or, am I missing something in the ingredients list? Thanks in advance for your help! Are there any candies that are both gluten and dairy free? Sorry for the late response! I can create a list for both gluten AND dairy free since I have to avoid both as well. Any NON-chocolate brands on this list are usually dairy free. So starbursts, skittles, gummy related candies, etc. are almost always safe. However, make sure to check labels for dairy ingredients. Smarties (U.S. ONLY) are gluten-free. Also, the York Peppermint Minis are NOT gluten-free due to cross contamination, I believe. No gluten containing ingredients. It's just over 20 ppm of gluten due to cross contamination. Thank you so much for the information on all of these. It makes it so much easier to know for sure what doesn't have the gluten in it. Thank you for all this work! We are retired. Our youngest son came to live with us last year; and it has only been in the last few months that we have worked out he is gluten intolerant. I am so glad to have found your blog. I look forward to reading through it. Thank you. I love milk chocolate. Milk is good for health. thank's for share your views. Butterfingers ARE NOT GLUTEN FREE!!!!!!!!!!! This list needs to be updated. Butterfingers are, in fact, gluten-free. The only known allergens are listed as so from the nestle site, "CONTAINS PEANUT, MILK AND SOY INGREDIENTS." It does not contain gluten. Do you know if peanut butter M&Ms are GF? I have conflicting information in my research.. Thanks!! Great list. I've noticed some candies now carry a gf circle/notice on the wrapper. I don't remember which specific ones at the moment, but it was on quite a few I peeked over at the drugstore recently. So, it was probably someone that dominates their candy aisle - Hershey's, Mars, Nestle. we have listened to you and improved the taste while still keeping the high quality ingredients you have asked for! Made in USA in GMP certified facility using high-quality ingredients; 3rd party tested for purity. Childrens Gummies, Complete Vitamin and Mineral Support in Childrens Vitamins, Vitamins A, C, D, E, B vitamins and More, New Improved Formula for Best Tasting Kids Gummies, No Artificial Colors or Preservatives, Assorted Fruit Flavors, 90-Count. Are 5th Avenue candy bars gluten-free? Are Mike N Ikes gluten free? Just wondering about Skittles and Starburst? On the Wrigley website it says they are NOT GLUTEN FREE? Everywhere I've look all the lists say they are? Gimbals Candies (found in Walmart & online) are all gluten free. Mike N Ikes are gluten-free. Are Kit Kats gluten free? Kit Kats are not gluten-free. Really nice information. It is very useful and informative. and delicious. peanut m&ms are not reliably gluten free. i've just been through an absolute nightmare few days because of it. My thoughts exactly!100% AGREE,gluten is not always the only culprit.We have to really be in tune w/our bodies. F.Y.I.-Especially w/Celiac Disease, there's a higher risk of reacting to other ingredients.Soy,corn,dairy,peanuts are some of the top offenders.If I go overboard on sugar I will definitely be having stomach issues.There can be numerous other reasons for reacting to a Gluten free product. MNMS CANDY CORNS MAY CONTAIN WHEAT! Thanks for this list! It's always so difficult figuring out what works. And with Halloween coming up this list will come in handy! Just updated the milk duds, thanks for asking! Thanks for the list. My mom has celiac so our whole family has been GF for a few years now. We've gotten used to it for the most part, but sometimes trying to determine what is safe and what isn't gets difficult. Having lists to refer to makes it easier. If an item contains "natural flavors" or articifical colors it may contain gluten. Sometimes wheat and dairy are used as a base for natural flavors. I thought it was just the Red No. 40 that caused me problems. Apparently, it is the gluten in it. It makes me hyper. Studies have shown it acts as a stimulant. Blue No. 1 does also. Are Reese's FAST BREAK Candy Bars free from cross contamination? I thought they were unsafe for Celiacs. Safe ingredients does not mean safe from gluten. I had lumped them with seasonal shaped Reese's Peanut Butter Cups which I understand may be manufactured on shared lines where gluten products are produced, depending on demand. Not all of the Hershey Kisses are GF...like the cookies and creme flavor. I also thought I read the caramel ones weren't GF anymore? I learned the hard way about the seasonal shaped pb cups. So disappointing since they are my favorite. Thanks for the list, it is very helpful with having 4 of us diagnosed with celiac! Please check on the Hershey's Kisses. About.com just ran an article about which ones contain gluten, among them the special dark kisses. I got sick on them last year. Thanks. I am very sensitive to gluten and have eaten several bags of York mini's (the unwrapped kind) with no issues! Now I'm kind of freaked out that I'll forget and eat them again. Has something changed recently? I read the ingredients last time I bought them (a few months ago) and they were all fine. Thank you for all your work! This is so helpful. Do you by chance know about other Maynards candies (sour patch, wine gums, etc)? Nothing in ingredients but cross contam? York Minis do not contain any gluten but I believe they don't list it as gluten-free since it is made in a shared facility with wheat. That can still mean it's ok to eat but you may be taking a risk due to potential cross contamination. Sour patch kids now says there is a chance of cross contamination as well. The kisses have also been updated. Any information on Russell Stover or Ghiradelli chocolate Sorry I know I spelled the last one wrong. I agree that most questions can be answered if a little effort is used to look it up yourself but..... My 4 year old daughter was diagnosed with celiac at 18 months of age. Her diagnosis almost came too late! Luck for us she is doing well now! She loves anything dealing with medics and doctor/nurse and veterinarians and loves giving check ups. It was hard to tell the degree of bothersome symptoms when your daughter couldn't tell you more than tummy or groan and now I have to ask several questions just to see if she is having a reaction or if she's playing or trying to get attention away from her little brother. It is very frustrating when you have contradicting information from different sites. As a mom I greatly appreciate everyone's input and it's a relief to know that we are not alone. CHECK the m&m's! There is Cake Batter, Mint, Crunch, Candy Corn, and Coconut flavors to name a few. ALL FLAVORED m&m's contain wheat and barley. Also, different Mar's m&m's factories are not gluten free safe, high potential for cross contamination. Milky ways are not Gluten free, they have barley in them. Mint m&m's (the green ones) aren't GF. Milky Way Midnight and Caramel Bars are gluten-free but NOT the original. Ghirardelli truffles are NOT gluten-free but most of their bars are. Also, thank you for making me aware that Mars has those new flavors of M&M's. I will update the list. Thanks! Does anyone know if Aero bars are GF? Thank you for sharing your diligent work! Is Hershey's Krackel bars gluten free because I had some of it and now I might be having a reaction to it if it is. KimPointBlank - perhaps it's not gluten that is your issue with the Snickers. I eat them w/o issue. Maybe another ingredient is causing your problem? Taylor, love the blog. Swedish fish are correctly listed lower down in the list, but near the top you have them as Sweetish Fish, and a couple of other posters have needled you about it. Love them, so I had to figure out what was going on as i read all of the posts from start to finish. Thanks for all of your hard work! Does anyone know if the m&m minis for baking are gluten free? Thank you for sharing, this is very helpful as a newly diagnosed Celiac trying very hard to avoid a trigger...but still being a big fan of the occasional sweet treat!! Anything more on peanut butter M&M's? I am having terrible bloating and reflux issues this week. I thought it was from the one tiny piece of King cake I ate on Tuesday but I just ate the last handful of PB M&M's and literally within 30 mins I look like I'm 6 months preggers BC I'm so bloated! UGH!!! Taylor is right, it could be something else. Also, I have read that gluten can actually stay in your system than we may realize. That you may have a reaction to a product and then later when you eat another meal/snack that is absolutely gluten-free you feel your reaction from the previous (gluten-containing) meal. This can be annoying and difficult because it can be hard to distinguish what had initially caused the reaction and what is merely a continued reaction. Twizzlers and red vines are NOT gluten-free. I haven't heard anything about peanut butter M&M's causing a reaction. It could possibly be another ingredient you are reacting to but I will look into it more. Thank you so much for the update on the list! Does that include the M&M baking pieces or do you know? Thank you. my friend is allergic to gluten and its her b-day. Have you found any definitive on jolly ranchers? My partner with celiac had one today and didn't have a reaction, and they are super sensitive to gluten. Like can barely touch the stuff. No ingredients with gluten of course but not listed with the GF products on Hershey's website, maybe due to possible cross contamination in the manufacturing? Anyone know if the Gertrude Hawk candy bars sold during fundraisers are gluten free? What about the easter colored plain m&ms? Thanks for the help. We are now starting the gluten free diet due to us finding out that our five year old is autistic. So this is a great help thanks so much!!!! to those who are worried about butterfingers i was on a website today that says they are gluten free, but it may be because some products do contain wheat but here in the states if it is less than 20ppm than they can say gluten free so be sure to always read ingredients as folks like me who have CD you have to be very careful. and to Taylor thanks this is a lot of work, good job. Seasonal themed items from M&Ms would be gluten-free such as the Easter colored ones. Baking pieces are gluten-free as well. As for Jolly Ranchers, they are not listed as GF on the Hershey's website due to their strict policy on GF labeling if there is a chance of cross contamination. I haven't heard anybody having problems since it does not directly contain a gluten ingredient. It's just one of those products that is left up to the consumer to try for themselves. My 8 year old daughter thanks you so much for helping her know for sure what she can have without having to stop n read each label (she always checks on her own as its her body that suffers! -of course I always double check for her) we printed out your list! is snickers 100% gluten free? Snicker wrapping does not mention that it is gluten free and I am scared to eat snickers. Hey Nice post i really love this , i also got a latest 2016 blog that is full of Halloween 2016 Costume ideas, Halloween 2016 costume ideas for kids , Halloween 2016 decoration ideas, Halloween 2016 Food ideas and Much more. I just got diagnosed with celiac and am trying to navigate my way through this. I love my gummies. I would be interested to know about Trolli and Haribo? My Dr. just suggested a gluten free diet due to some rashes that no one seems to be able to identify. I cant tell you how grateful I am for this list. This will defiantly help! I'm Taylor, a young adult with Celiac Disease, POTS, Syringomyelia, and a rare type of Adrenal Disorder. I've dedicated my life to help educate parents, teens, and kids all about the gluten-free lifestyle to help make your lives a little easier. 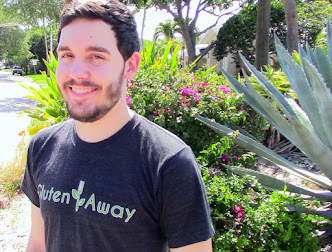 I'm just here to help, inspire, and show that living gluten-free doesn't have to be a hard thing! Extremely Easy Gluten Free Cornbread!